Our specialists are experts in a wide range of techniques which enable us to fix minor car body damage. We have extensive experience with all kinds of cars, from the humble Ford Fiesta to the luxurious BMW 6 Series. Who better to explain about the way ChipsAway works than one of our specialists themselves? Hi Chris, thanks for talking to us. Can we start by asking you to tell us a bit about yourself? Hi, my name’s Chris Gale – not the Jamaican cricketer. I’m 28 and currently working for Andrew Darby, where I offer a mobile service for his Huntingdon based branch. We are also lucky enough to have a fully equipped CarCare Centre to work from. When I’m not working, you’ll find me on my bike or in the gym trying to keep fit. I live with my girlfriend in St Ives, Cambridgeshire. 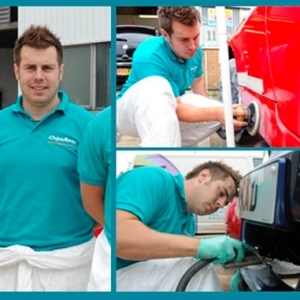 How long you have been working with ChipsAway and what first got you interested in becoming a repair specialist? 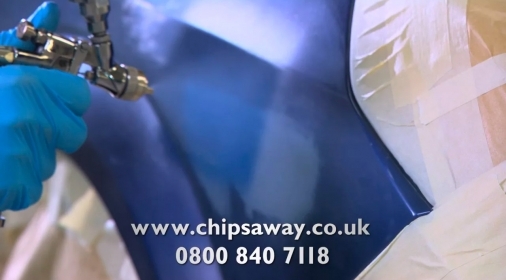 I have been working for ChipsAway for nearly 7 years, I started in April 2007. Previously, I was a fully qualified Chef and I knew Andy before I started working for him. He was looking at expanding and brought me in to run a new area (bringing the average ChipsAway specialist age down and the image up!). I haven’t looked back since! Going back to when I owned my first car, I was always interested in exterior bodywork, or modification as it was called back in the day. What do you find are the best parts of the job? Apart from the ChipsAway conferences… the best part of my job is the look of astonishment/satisfaction on my customer’s faces once I have finished the repair. A lot of people don’t know what to expect when it comes to this type of job – that includes price, as well as end result. I am always learning new things; new procedures and materials. So not only have I improved my repair skills whilst working for ChipsAway, I feel I have grown as a person too. What kinds of cars do you normally work on? One of the good things about ChipsAway – whether I’m out on the road doing mobile repairs or in the CarCare Centre – is that every job and day is different. There’s private, trade, new, old, expensive, cheap, alloy wheels, dents, scratches, trims – each job is a different challenge. I get asked a lot if I do work on Ferrari’s for famous or important people – yes, I do – but I can’t say who! Not only is this my job, it’s my passion and each repair I treat with TLC, even if it’s a 1989 pink (used to be red) Nissan Micra. What was your favourite repair job and why? My favourite job has to be my first. That first job where I was sent out by myself, with a new phone, new diary, new van and too much confidence. I took on a ‘top to bottom’ bumper crack on a British Racing Green MG TF. Couple of hours into the job, my cockiness had faded – it took me all day to finish. I think I was even more impressed than the customer. To this day, I still see that car and 7 years on it’s still looking good! How long does the average repair job take you? The time a repair takes depends on the damage to the vehicle and how many repairs there are to do, but generally we’ll be out of your way within a few hours! 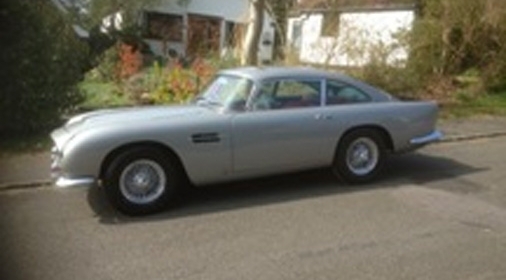 How do you match the car paint at the roadside? Our vans are mobile workshops; fully fitted with all of our colour match system technology where we identify the exact factory finish colour we would need to complete the repair. We are then able to mix the colour and apply it for a seamless finish. And finally… what was the trickiest job you have worked on? The trickiest job started off as a ‘simple’ wing replacement and bumper scuff repair after the son of one of my regular customers got into a spot of bother with a brick wall. It seemed straightforward, but once the wing came off, I found that the brackets were broken and bolts were missing, basically it was a nightmare! After two full days and tub of Kenco coffee, it was finished. The customer was delighted with the end result, apologetic for the grief his son caused and amazed by the price. That was 4 years ago and he is still a regular customer – it always pays to go that extra mile. 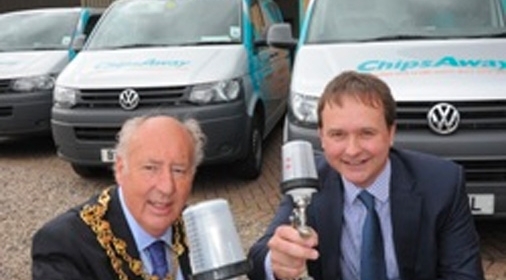 We hope this has given you some insight into ChipsAway and the team who work here! Of course, if you have any questions, we’d be pleased to answer them – just get in touch via Facebook or Twitter. And if you have recently found yourself in need of a car repair, just fill out the form on the right.